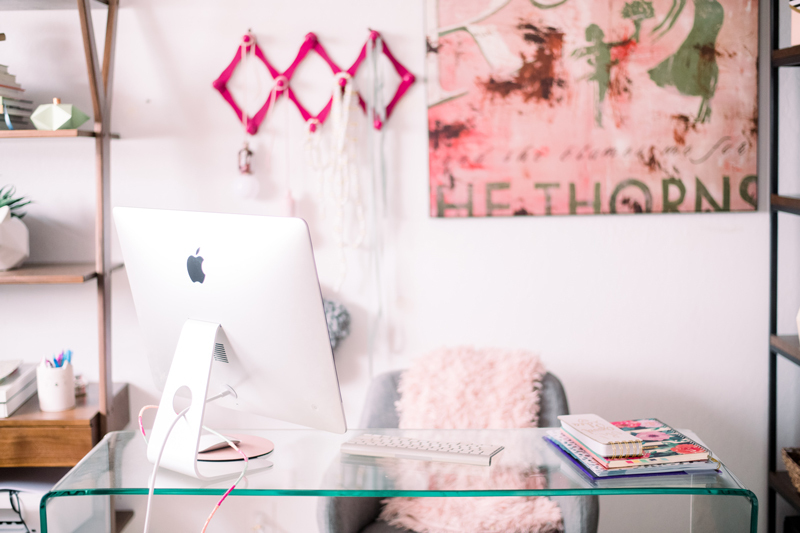 Inside: 13 small office tips & tricks to make a little room larger! Although our house is mostly done renovation-wise, we still have a few projects we are working on and of course, constantly tweaking things. Sometimes you need to live in a home to really understand how it is you use the space the best. One of the biggest updates we did was to move our kiddos to a different level of the house. We had a very large guest room set up downstairs and the kids rooms which I loved upstairs. See how cute they looked like an artists room and my son’s fun cow centered room. Which opened up one of the top floor rooms to become my own little office. I still use the renovated home studio for all our photography and video needs, but on the daily, as I sit at the computer it’s a much better set up for me. The room is small, but I’m making the most of every inch. 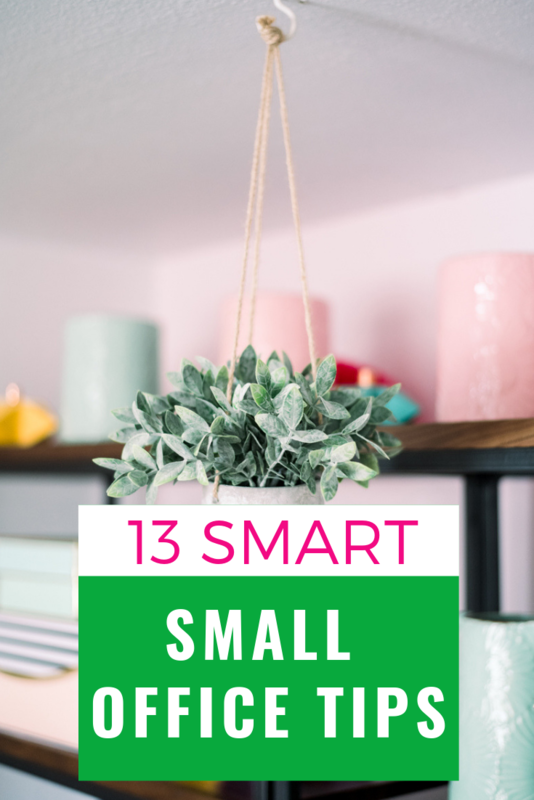 Here are a 13 favorite small office tips & tricks I am using to make the room seem larger than it is. When it comes to managing a small office space I have found that my foundation is the most import part. Without the right furniture or layout, your space can feel crowded and stuffy. 1. My number one small office tips are to ensure that your main furniture pieces are substantial. Find furniture that has multiple uses and that has a great organization component. 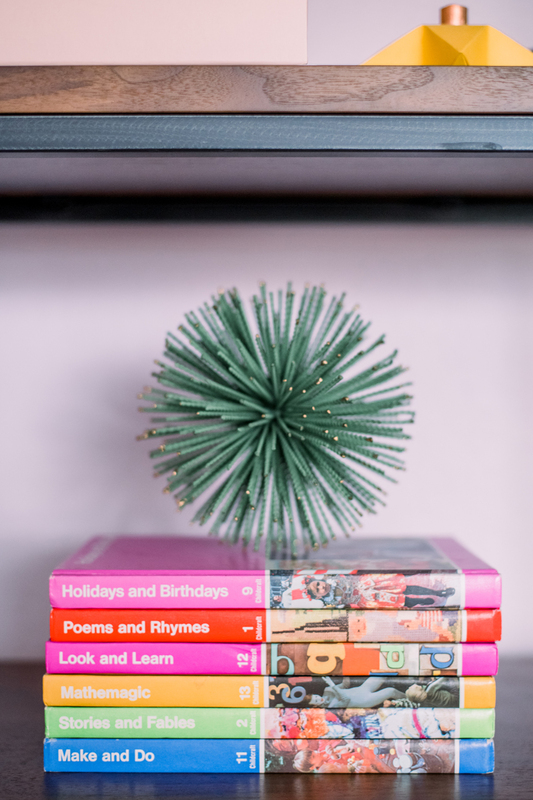 I’m obsessed with these book shelves that Article sent us to use in the space. 2. I find that using a clear desk makes the whole room feel open. 3. 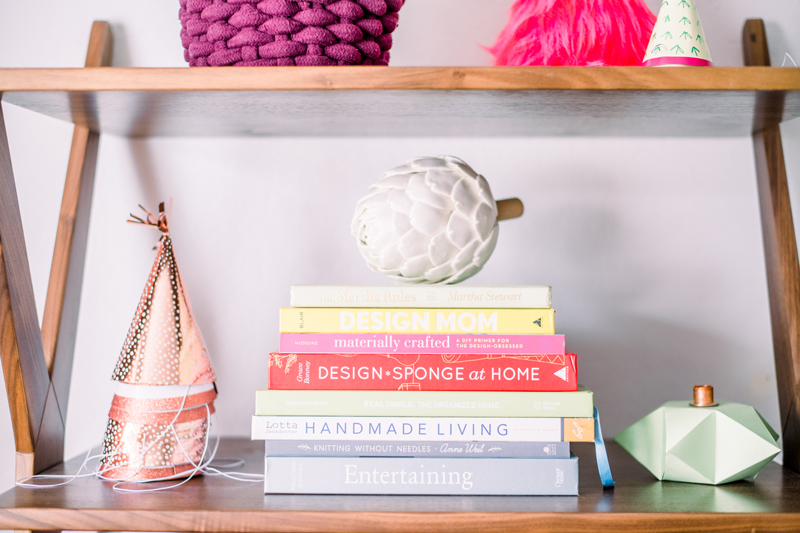 Layered Shelves – I love layering my shelves with fun decor that inspires me with new and fresh ideas. 4. 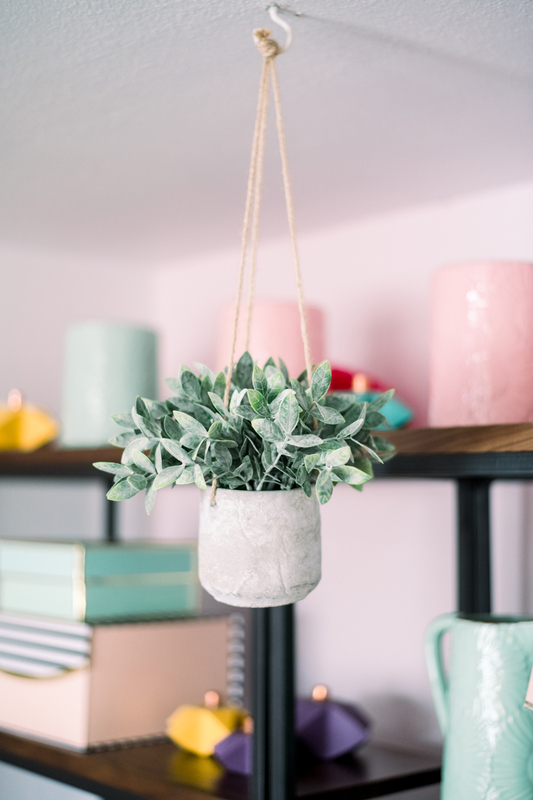 Add spurts of texture throughout your space. 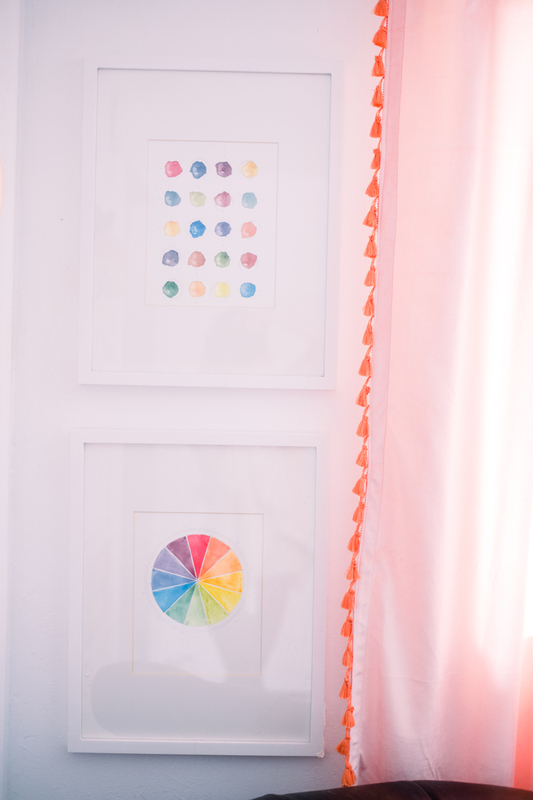 This is not only a great small office tip but an all-around decorating tip. Adding texture to any space creates a flow and level of comfort. 5. Use the walls next to windows, this helps to feel like you aren’t locked up in a small cramped space. Seeing life moving, growing and changing out the window helps me feel like I am out in the world, but also helps inspire me everyday. We put up my favorite sketches from our first book framed by the windows. 6. Store pretty supplies out in the open. 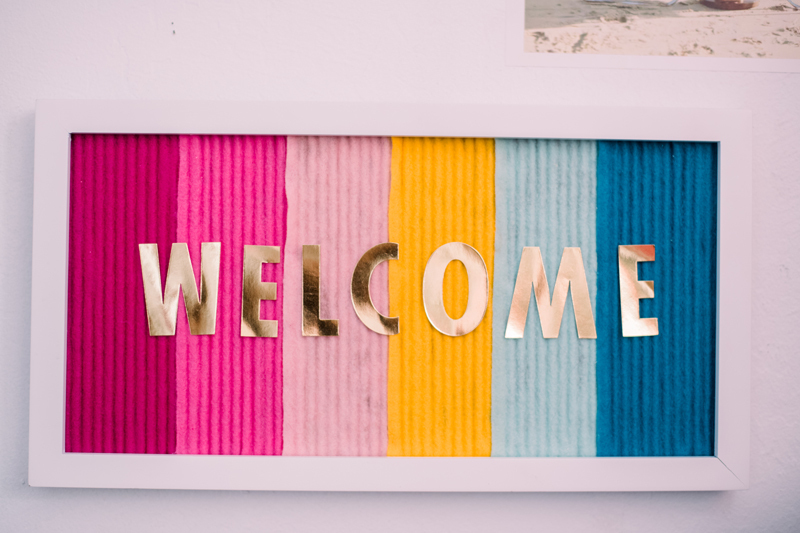 I find displaying my old craft projects, pretty scissors or fun notebooks out in the open, makes the space colorful and I can see all the fun things that I love. 7. 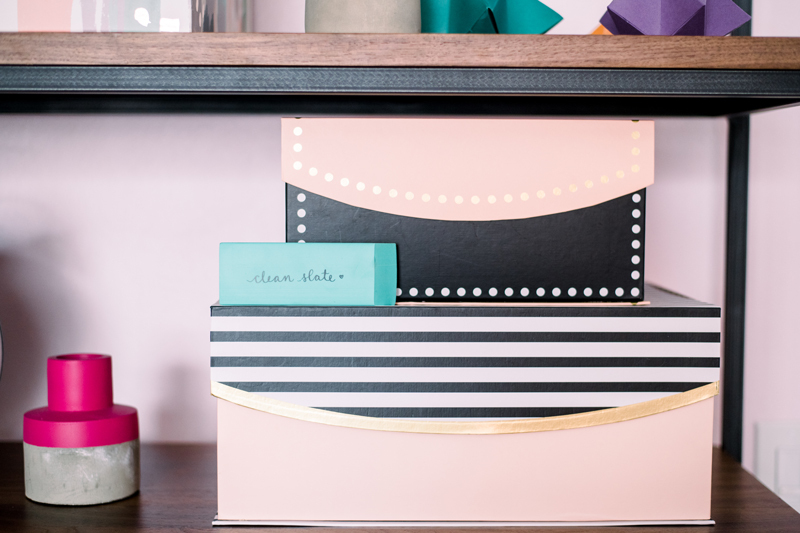 For all those not so pretty supplies, I love using fun decorative boxes to store them in. 8. 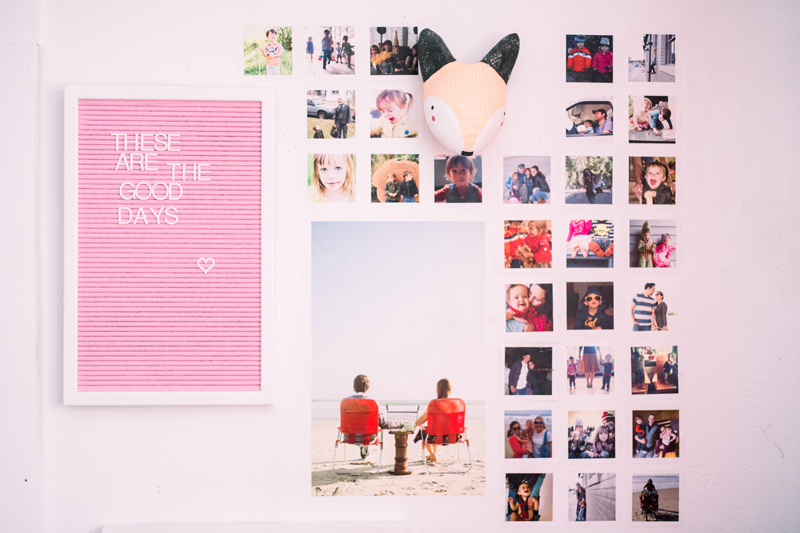 Hanging mini photos for a gallery is another one of my favorite small office tips. This adds a personal touch and plus I love seeing my sweet family and friends faces! We’ve had these mini prints for years and I still love them. 9. Display your daily supplies as decor. 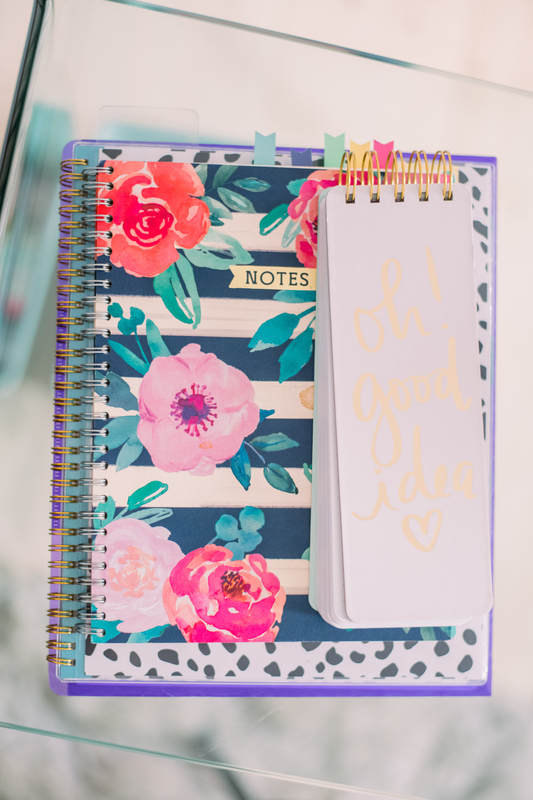 Set out your daily planner or gold stapler as cute desk accessories. 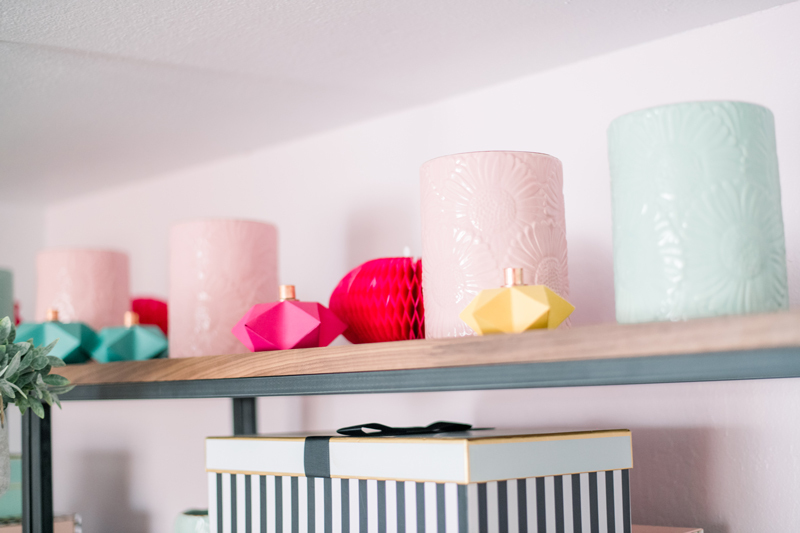 Finding daily supplies that match my decor make it super easy to keep them out and eliminate having to find storage space for them. 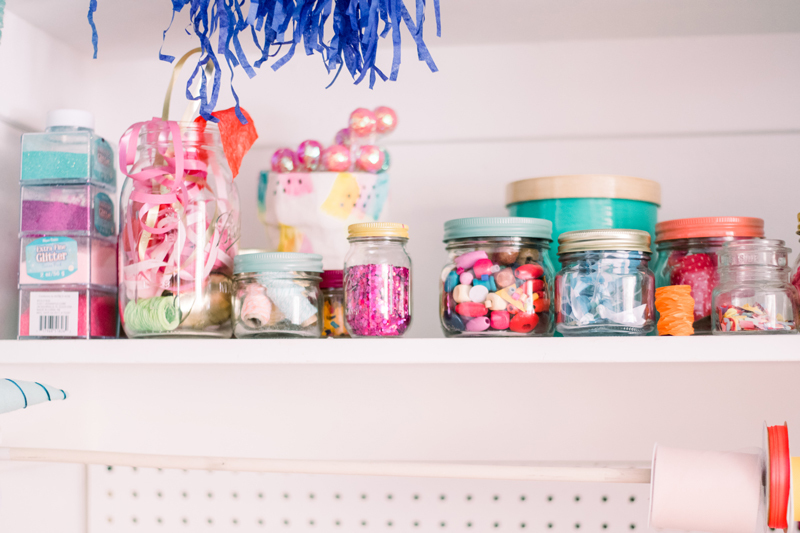 Here are some of my favorite cute supplies! 10. 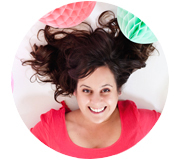 For my most favorite small office tips is creating a style that brings you joy by using your own work in your space. If you paint, craft or bake fill your space with your work! 11. For me converting my closet into a craft station was a must. Optimizing the entire closet is great for freeing up space. 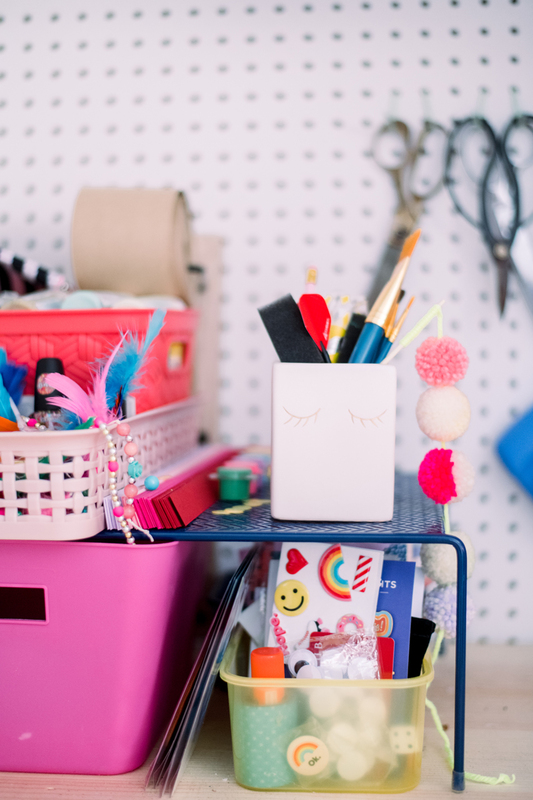 Adding pegboards to hang supplies or using cubbies for all your supplies. 12. 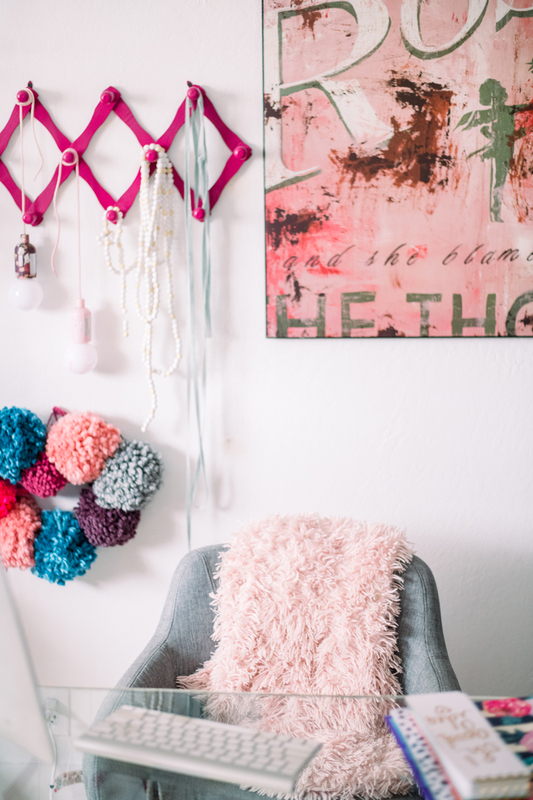 Hang Ribbon – One of my tried and true small office tips is to hang what needs to be hung. The ribbon is one of those pesky supplies that just like to get tangled and unraveled and is truly a pain to organize. 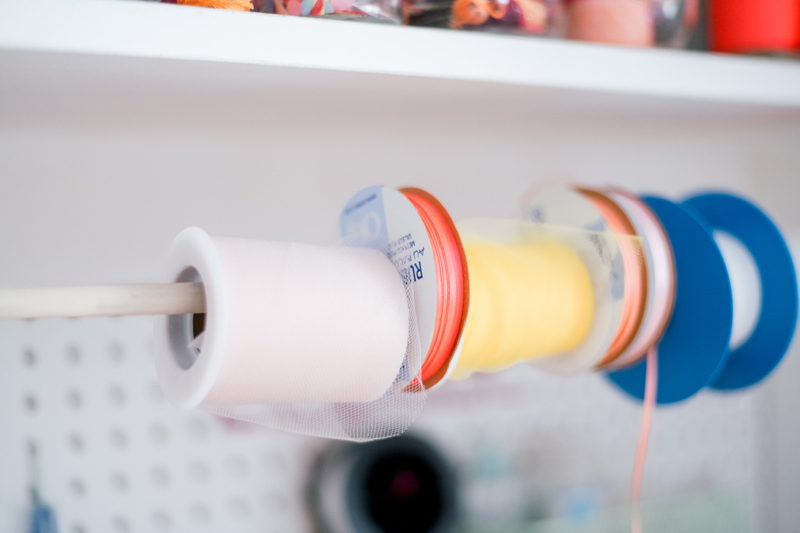 My life changed when I learned to hang my ribbon using a rod, it makes for easy cutting and great storage! 13. Use small mason jars for collaring little objects. Buttons, safety pins, hot glue sticks, and sequins! All these things are great to store in small mason jars. :) Here’s how we made them. A reading nook the whole family will love! I love ❤️ this office space!